Many adults want to have straighter teeth, but are concerned about their appearance during treatment. This is especially important for professionals. Today there are a number of orthodontic treatment options that minimize the appearance of braces, and at ABC Orthodontics, we understand your concerns. We have extensive experience treating adult patients and would be happy to help determine the right option for you. One excellent option for attaining a straighter and healthier smile is Invisalign clear aligners. These clear, plastic aligners fit snugly next to your teeth and are custom designed for your mouth. Each aligner is worn for approximately two weeks and is then replaced by the next aligner in the series. Nearly invisible: These plastic aligners have no metal brackets or wires and are nearly invisible when worn. Shorter treatment time: The average Invisalign treatment time for adults is twelve months, while the average treatment time with traditional braces is nearly twice that. 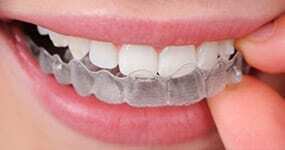 Completely removable: A wonderful advantage of Invisalign is that the clear aligners are completely removable. This means that you can eat all your favourite foods and continue with normal oral hygiene because you simply remove the aligner before eating, brushing, and flossing. You can also remove the aligners for special occasions when you want to look your best. Traditional metal braces are also an excellent option for correcting a misaligned bite, straightening teeth, and enhancing your smile. These types of braces, while more visible than other options, are very effective at moving and aligning teeth. Many adults choose this option. These braces consist of brackets (small devices that are bonded to the front surface of each tooth), an arch wire that connects to each bracket in the upper jaw or lower jaw, and ligatures (small elastic bands that attach the arch wire to each bracket). Throughout your treatment, you will come into our office for regular adjustments. 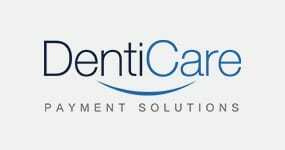 We will provide you with a kit that contains cleaning devices to keep your teeth healthy throughout treatment and small sections of wax that can be attached to any wire or bracket that irritates your cheek or gums. We work closely with you to monitor your comfort and the progress of your treatment. Average treatment time is approximately two years. Clear braces are an excellent option for those who want to minimize the appearance of metal braces. The brackets of clear braces are made of ceramic and are tooth-coloured. In addition, we can use an arch wire coated with tooth-coloured paint and clear ligatures (elastic bands) to further minimize their appearance. In terms of effectiveness, these braces are very similar to traditional metal braces. We typically use clear braces on front teeth and metal braces on back teeth. Lingual braces are known as internal braces, where by the braces are actually on the inside of the teeth and are therefore virtually invisible to see! Lingual braces can cause less pain and discomfort in comparison to traditional braces because they do not rub against your lip and cheeks. Let us help you decide if Invisalign, braces, clear braces, or lingual braces are right for you. 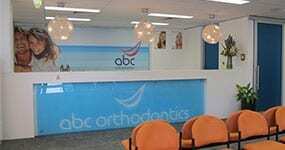 Call us at 1300 794 797 and let our team of experienced professionals answer your questions and make an appointment. We’re confident that we can find the right solution for you.